Placebo Effect from Ataide.tv on Vimeo. more on the placebo effect here and here … a conversation with Professor Daniel Moerman here … a link to his paper on why we evolved a placebo response … and a great article on magical thinking. 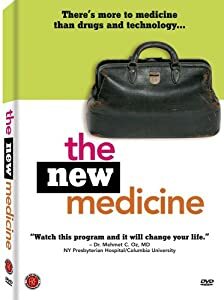 Check out part 1 of the PBS documentary “The New Medicine” – on the “new” efforts in modern medicine to harness the connection between mind and body to optimize health and healing. In the video, several physicians demonstrate the way in which various mindfulness-ish practices are now a part of the standard drug & surgical treatment process. They are not practicing yoga per se, but the similarities are obvious (perhaps even less potent than traditional yogic body and breath control training). In a surprising twist, one interviewee, Deborah Schwab, RN, NP, MSN of Blue Shield of California noted how a study of so-called “guided imagery” (patients are given a CD with various guided imagery meditations) was associated with shorter hospital stays, and lower medication costs to the tune of $2,000 per patient. Imagine that … one day offsetting the cost of yoga sessions with a health insurance deduction? Just unroll your mat and swipe your Blue Cross insurance card? In our culture, we have not given the training of the mind – in particular the training of emotions – sufficient credence. … Imagine someone who spends as much time training their mind as someone in our culture spends practicing golf!